Singapore has a unique position in the global economy and a pivotal role as a business epicenter in the heart of Asia. The city-state has been consistently acknowledged as a global business hub – one that features developed infrastructure, political stability, open business policies, a skilled workforce, the use of English as the main working language and respect for intellectual property rights. Global businesses will find it advantageous to site their headquarters in Singapore. Strong trade and investment makes Singapore the most competitive Asian country and the world’s easiest place to do business. Intercontinental Accounting Services offers a full range of tax, accounting, bookkeeping and payroll services to small and medium-sized businesses. Depending on your company’s needs, we partner with you as your bookkeeper, accountant, controller, business advisor, part-time CFO — or the entire Accounting and Finance department. Please take a moment to review our full line of tax and accounting services as listed below. Setting up a company in Singapore is relatively simple for residents. However, you need to determine which business entity will meet your needs. The three most common business entities available for registration in Singapore are Sole Proprietorship, Limited Liability Partnership and Private Limited Company. If you are an individual who wants to register a Singapore company, you have come to the right page. There are two main work visas options if you wish to relocate to Singapore to run your business. However, if you do not wish to relocate to Singapore, you may engage us for our Nominee Director Service. 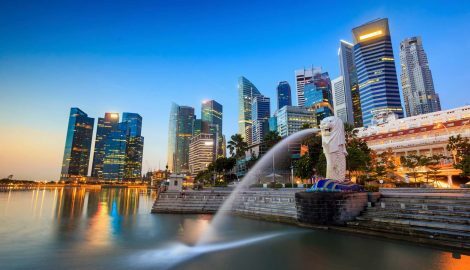 If you want to expand your business or considering the feasibility of having a long-term presence in Singapore, you have come to the right page. Singapore offers a number of options for companies such as yourself to do so. In addition, it offers 100% foreign ownership of companies, an attractive tax framework and no restrictions on the repatriation of earnings and capital. One of our services is to provide shelf companies that are incorporated in Singapore for clients with specific requests. Each of these shelf companies meets all the necessary regulatory requirements and can be purchase for immediate operation.